We aren’t surprise, once you taste a cleanse program, you’ll come back for more! This is why we created these juice boxes to help you maintain your health on a daily basis. The juice boxes give you a mix of 6 juices to drink wherever and whenever you want. Just for you or to share with friends, family and colleagues. Enjoy your box! A juice a day, 2 juice per day, or however you want! To maintain the benefits of a cleanse, extend your program with Liquid Morning: 2 juices per day to drink in the morning, for 3 days. A morning ritual to boost you up each day! Green is the new black! Your daily needs of fresh green fruits and vegetables for a fit body on top of your usual meals. Unbeatable! 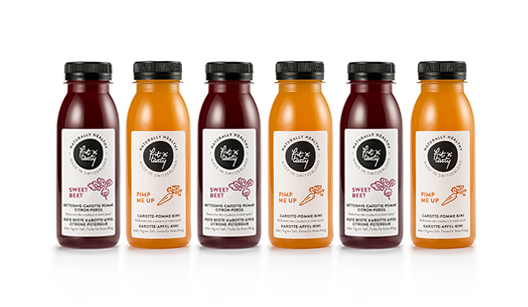 Build your own juice box by choosing from our catalog of juices and milks. 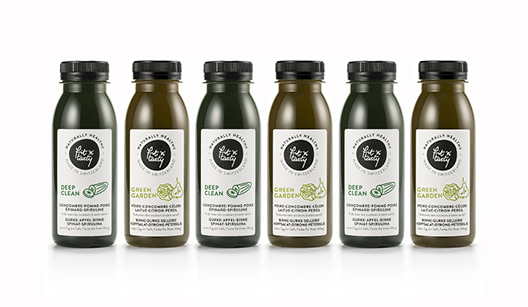 Please note that depending on our daily arrivals of fruits and vegetables from our farmers, we may have to change the juice recipe to keep up with our mission of sustainability and seasonality. Thank you for your understanding!